Available Now for Download and in Print! 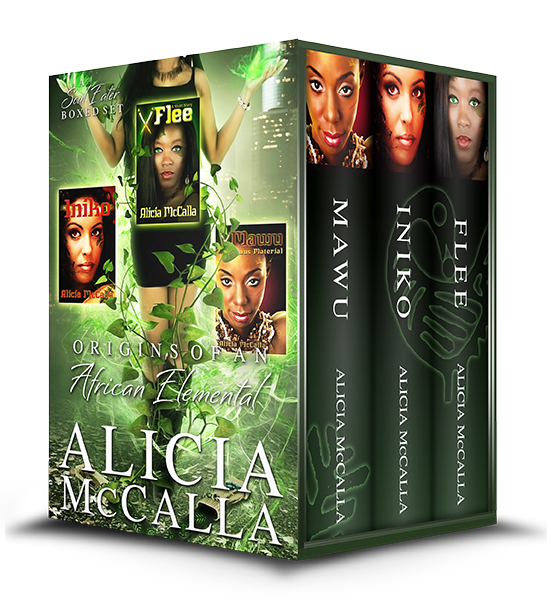 This prequel boxed set is the first, second and third installment in the African Elemental series. Mawu, Iniko, and Shania grow into their strength as mothers and warriors. These women wield the elements and war swords to save this universe from an ancient evil.